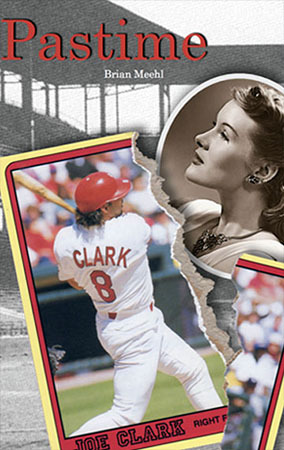 Joe Clark, a baseball superstar, has it all: Hall of Fame stats, fast cars and fast women. But on his way to becoming the highest paid player in the Majors, Joe runs into a speed bump – actually, a time bump. He gets sent back to the minor leagues of history: 1944 and a nation at war. Forced to play for the hapless St. Louis Rounders, Joe’s showboating style gets him in trouble until he befriends a war widow, Shelly Davenport. Shelly helps him discover a new kind of game, on and off the field. In the end, Joe chooses the era where his heart, soul, and game belongs. This tale of two eras is more than a time-traveling collision at the plate, it’s a collision of two hearts in the timeless game of love.